Successful US funk-rock band featuring Anthony Kiedis - vocals, Michael Balzary (Flea) - Bass, Chad Smith - drums and Josh Klinghoffer - guitars. Despite releasing albums as early as 1984, their breakthrough came with "Mother's Milk" in the States and "Bloodsugarsexmagik" in the UK during the late '80s. 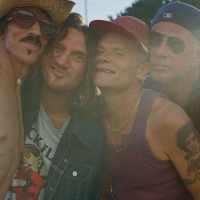 Subsequent albums, including the poppier "Californication", reached the Top 5 in a dozen countries, while "Stadium Arcadium" reached number 1 in more than 10 territories in 2006, with 2011's "I'm with You" doing even better in terms of number 1s. They followed that with their eleventh studio album, "The Getaway" in 2016.